Pleasant Journey Alpacas: Blog: Handspun Yarn! I, Susan, have recently embarked on the journey of learning to hand spin! 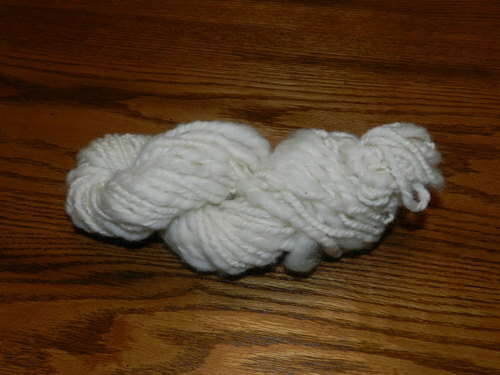 What an awesome feeling to be able to transform raw fleece into yarn. As this point, I have only spun and plied one skein but it is incredible and leaves me yearning for more time in my day to add this to my list of "things to do today". 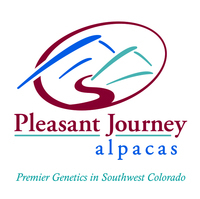 I belong to a wonderful group called "Wild and Wooly Spinners of the West" in Durango, CO. They are such a fun group of gals and are so encouraging to a new spinners. They remind me that it takes time and to relax and have fun. 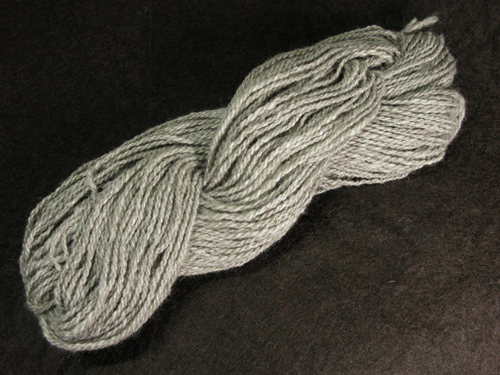 My first skein is not the best but I will keep it as a reminder as my skills improve. "Art Yarn" is what we all call it. One of my spinner friends, Paul Seay, spun a gorgeous skein of yarn from roving made from the fleece of our herdsire, Adonnis' altitude NS. 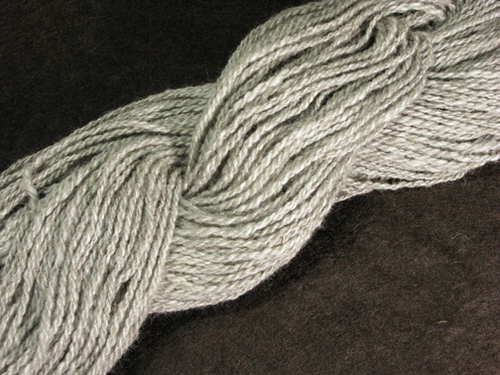 What a luscious rose grey skein of yarn! Again, more inspiration for me! I, too, want to spin his fleece and others in our herd and make these wonderful creations! It all comes with time and practice and hopefully one of my blogs in the near future will show a skien of yarn that I personally spun of Altitude!